Blue Peter meets the man from the Haynes Workshop Manuals ... Ingenuity or desperation, you decide. 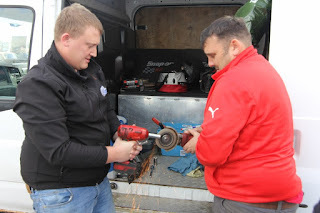 When the Cobble Shop Rally Team found they didn’t have a socket narrow enough and deep enough to reach the plugs in the Focus head, they ‘machined’ one down to fit. 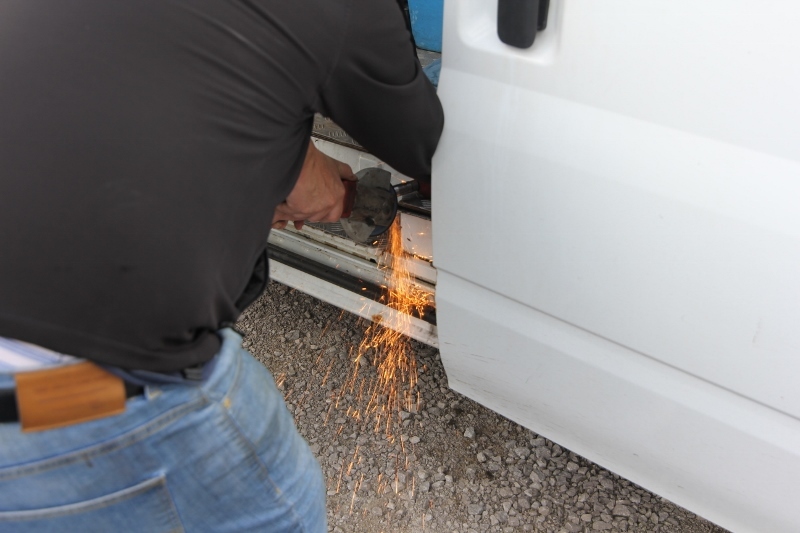 Recipe – take one long, fat socket and grind it down to become a long thin socket and extract plugs. Simples!